It was a strange episode of Family Guy on Sunday night as Seth MacFarlane went with a "DVD commentary track" theme throughout the show. 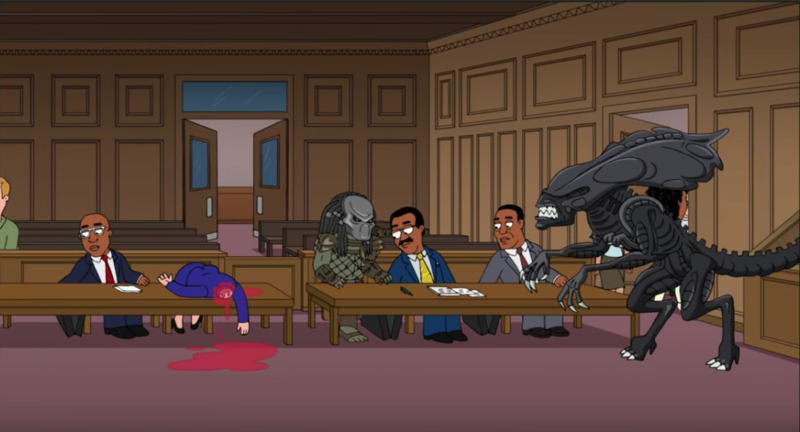 Alien and Predator fans may have had a chuckle though as we got to see the Alien Queen decapitating...well...you'll just have to watch and see. Get more info and watch the Alien and Predator scene HERE!